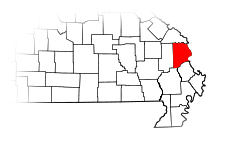 Born on the Mississippi River more than 200 years ago, Cape Girardeau, Missouri, has evolved from a tiny trading post to a frontier settlement governed by the French-Canadians to a thriving, culturally-rich community of 37,000 residents on the world’s only inland cape. The City of Cape Girardeau, located 2 hours south of St. Louis on the Mississippi River, thus celebrated its 200th year in 2006. This river settlement was first founded where the present day Cape Rock Park sits, sometime in 1793, when Don Louis Lorimier was given a land grant by the Spanish government. The town was officially founded on February 3, 1806, in its present location, when Lorimier donated a tract of land for the public good. Today, Cape Girardeau serves as a regional hub for health care, shopping, dining, and education as they host the largest population throughout the south eastern quarter of Missouri. Dr. Mike Cowan, Principal, and Sponsor Pat Johnson, led the YEA! Youth project with the 1379 strong student body at Cape Girardeau Central High School. The IPOD prize winner gave the prospective of steering youth towards other healthy activities and away from nicotine through the slogan: "Life has thrills, tobacco-use kills!"